This is a minty spicy chutney which goes well with all chaats and snacks. Fresh Mint and coriander leaves can give this chutney a taste to remember. 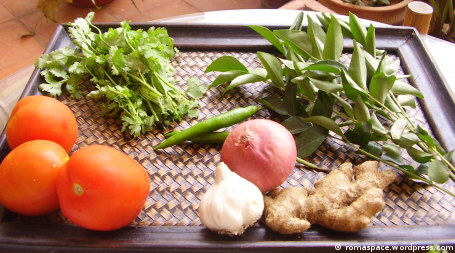 A Chutney being uncooked, is the healthiest way to consume our green leafy vegetables. Grind the above ingredients in a blender and your Mint chutney is ready to be eaten. To get a fine consistency you might need to add a few teaspoons of water. 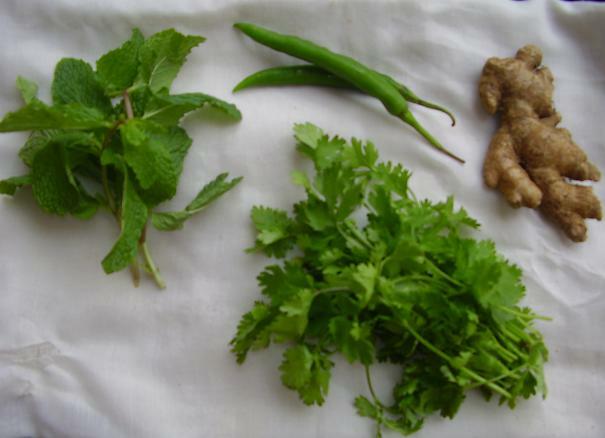 However, care needs to be taken as Mint and Coriander leaves have a high natural water content and the chutney should not eventually get watery. 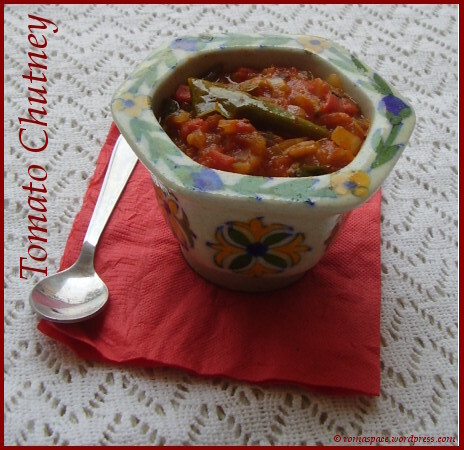 This chutney is very unique in taste as compared to its other Green Chutney counterparts. Spring onions are not as pungent as the regular onions. Besides being very nutritive in the raw form, they also taste better than when cooked in any form. Thats why, whenever I have fresh spring onions at home the first choice is a chutney. Mix in all the above ingredients in a mixie jar. Serve with snacks or meals. This is a sweet and sour chutney made out of tamarind pulp usually served with chaats, pakodas and other short eats. This chutney has a long shelf life and is handy when you suddenly want a dip to go with a snack. Bring the tamarind juice to a boil. Add jaggey, sugar, white and black salt, jeera powder, red chillie powder and boil till the mixture thickens. Add saunf seeds and continue to boil for few more minutes. 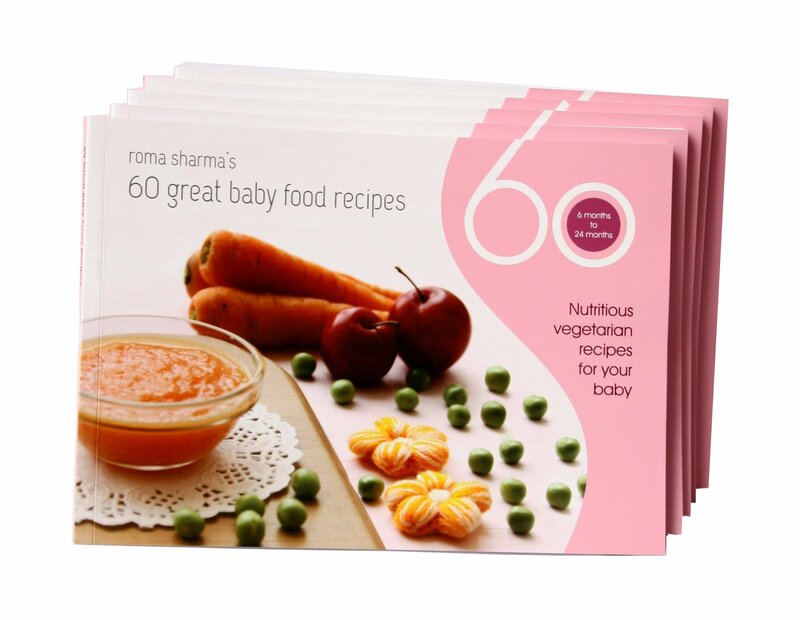 Cool and serve with chaats or snacks. In case you are short of time you can use tamarind paste readily available in the market. However, one thing needs to be kept in mind. 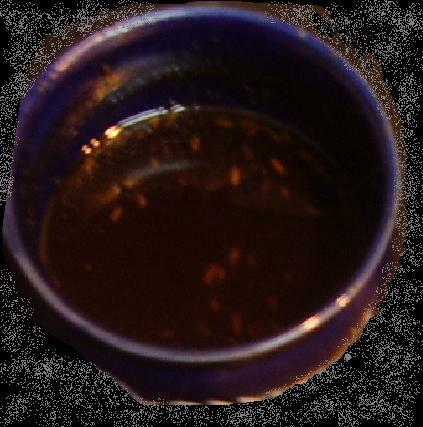 These pastes are usually very concentrated. Hence, start with mixing 1/2 teaspoon of tamarind paste in one cup of water and increase the quantity of tamarind juice later, if required.